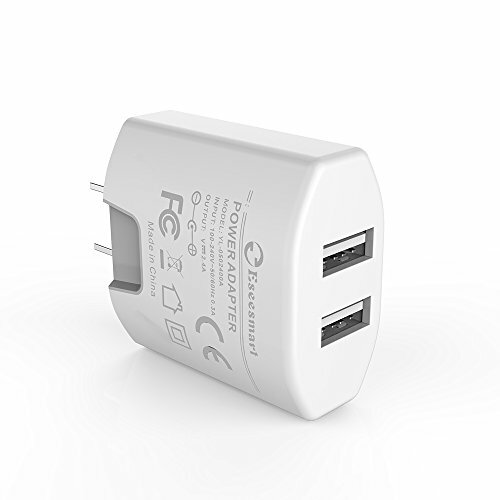 Eseesmart's exclusive Power IQ and Voltage Boost combine to deliver high-speed charging for any device. Dual USB ports pump out 24 watts. Enough power to simultaneously charge two iPads at full speed. Eseesmart's exclusive Multi-Protect safety system provides surge protection, short circuit prevention, temperature control and more advanced features to keep you and your devices completely safe. Compact design and international voltage input make Power Port 2 Elite incredibly portable and ideal for travel—anywhere in the world. Robust textured exterior resists wear, scuffing, and scratching. Premium internal components ensure perfect operation—even after being bumped around, shoved in a bag, or dropped on the floor. At Eseesmart, we believe in our products. That's why we back them all with an 18-month warranty and provide friendly, easy-to-reach support.